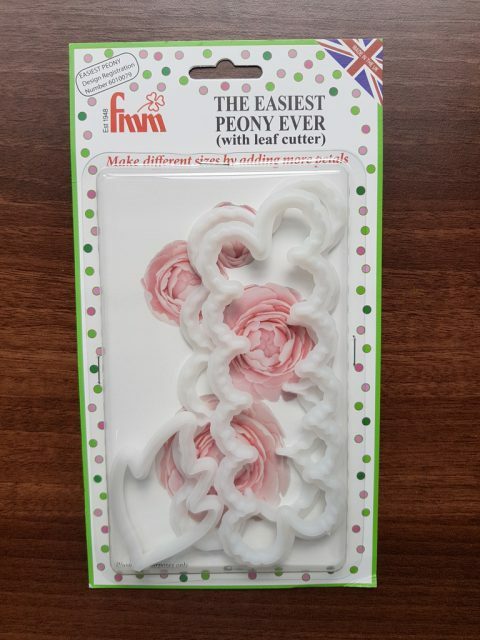 This peony cutter review is on one of the FMM brand of easy flower cutters that are currently available on the market. 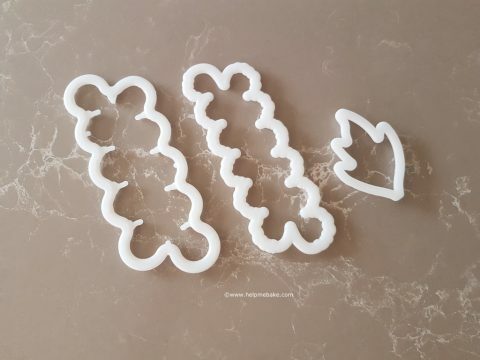 I have wanted to make peonies for a while now so decided to buy from the range of easiest cutters ever, because let’s face it, anything that saves us time whilst looking good on a cake is a definite winner in my book. 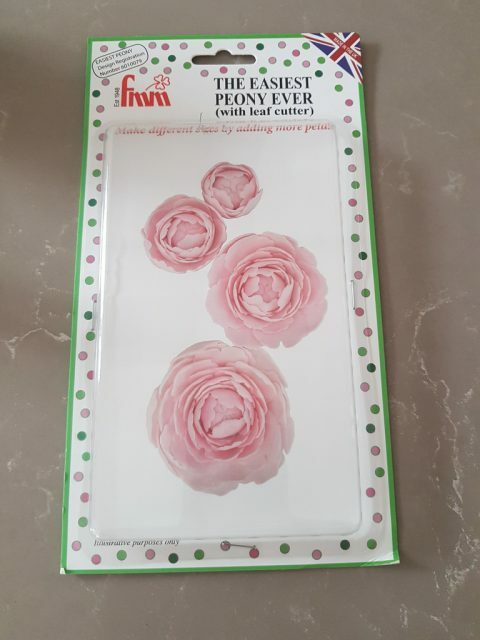 After receiving the item via the post I found included in the pack are two different sized peony cutters, a leaf cutter and a picture of what the peonies should look like once you have made them. The larger of the two cutters measures approx 16.5 cm length x 7 cm width, these measurements were taken on a diagonal at the largest and widest points of the cutter. The smaller cutter is 15.5 cm in length x approx 5.5 cm wide. The leaf cutter is approx 7.2 cm from tip to base x 5 cm in width. The cutters were pre-washed in hot soapy water and left to air dry before using them. 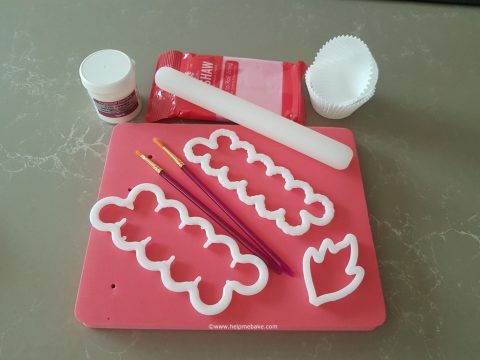 On the back of the packaging is a step by step picture tutorial and a list of items that you will need to make the peonies. 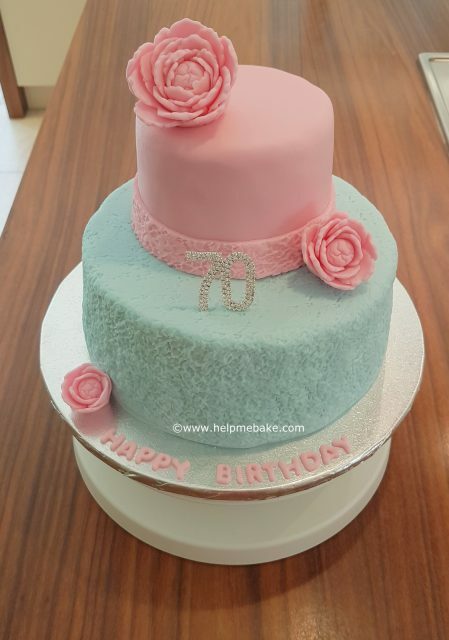 The packaging advises using modelling or flower paste, however, I made the peonies using normal icing with a little Tylo powder added in to harden it. The peonies can be made in a number of sizes ranging from small to large, hence the reason for the two cutter sizes. In order to make the larger flowers just keep adding more petals until you reach your desired size. My first attempt at rolling the flower up didn’t go so well, so I re-rolled my paste and then decided to have another go, once you get the hang of rolling the flower up it does get easier and remember to be light-fingered as flowers are delicate. 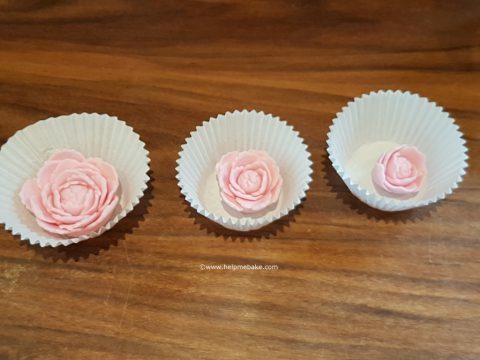 Once you have made the peonies allow them to set by placing them in cupcake cases for the smaller peonies and muffin cases for the larger flowers. Either that or just use whatever cases you have in the cupboard. Once the peonies are in the cases you can then start to spread the petals out using a paintbrush and finalising their design. This is where your flowers come to life. Once you have completed your peonies and they have hardened slightly you can then place and shape them on your cake. Overall I’m quite impressed with this flower cutter, you get real-life flowers in a fraction of the time and all you have to do is cut and roll! In a nutshell, I would definitely recommend. I must say they do look gorgeous Angie. I'm sure you'll continue to have lots of fun with them. Lol, thanks guys, I'm not quite sure why this has shown up as a recent post, I modified it yesterday and it's appeared in the timeline! Not quite sure what I've pressed but hey ho.